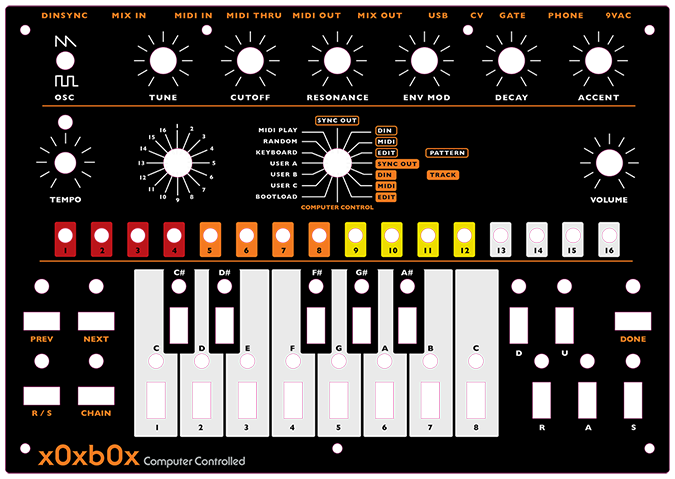 SynthGraphics has a very limited edition run of eight 808 style panel overlays for the x0xb0x. These would be applied over your existing mental top panel. They are made out of 10mil lexan with permanent 3m sticky backing. This is same material and printing process as used by Moog, Dave Smith, and others.